What if Skyward Sword Was Delayed to Next Nintendo Console? The folks over at IGN have recently posted some predictions for this years upcoming E3 event. In particular they talk about the possibility that Nintendo will announce that Legend of Zelda: Skyward Sword will be a launch title for Project Cafe. For those of you unaware, Project Cafe is the rumored title for Nintendo’s next home console, which is expected to be showcased at E3 this year. Read more to find out exactly what IGN had to say about the potential delay. Nintendo’s got a tough decision to make with Skyward Sword. On one hand the company has set this precedent before, when Twilight Princess was shifted from the GameCube to be a Wii launch title. On the other hand, we won’t see the new Nintendo system till 2012, which means the Wii is looking at a pretty barren release schedule this fall if Skyward Sword gets taken out of the mix. This one could definitely go either way. My personal take on this… absolutely no chance Skyward Sword is delayed and I have several reasons for thinking so. Number one is that I don’t think the Twilight Princess comparison is fair at all. Twilight Princess was slated for release towards the end of the life cycle of the Nintendo Gamecube, the worst selling home console system in Nintendo history. Skyward Sword on the underhand is set to release on Nintendo’s highest selling home console system ever. I think this was a sales decision for Twilight Princess, but I don’t think that’s the case for Skyward Sword. If it releases later this year, I think it is a lock to surpass the 5 million mark in its first year alone, and inch closer to being the highest selling Zelda title ever. I believe in this assumption due to the massive install base of the Nintendo Wii, along with high sales numbers for other recent core titles such as Super Mario Galaxy 2 and Donkey Kong Country Returns. The second reason I feel Skyward Sword will absolutely be released for Nintendo Wii this year, is that it is Zelda’s 25th Anniversary. Nintendo has done a great job already hyping up the anniversary with Ocarina of Time 3D, Skyward Sword, and the re-release of Link’s Awakening for the virtual console. Additional anniversary goodies are still to be announced, but I think Skyward Sword is the figurative icing on the cake for Zelda’s 25th Birthday. Lastly, a number of sources including Nintendo themselves have confirmed Skyward Sword to be coming this year for the Nintendo Wii. They clearly waited on releasing Skyward Sword, not wanting to overlap with the Nintendo 3DS hype earlier in the year, or with Ocarina of Time 3D for the summer season. 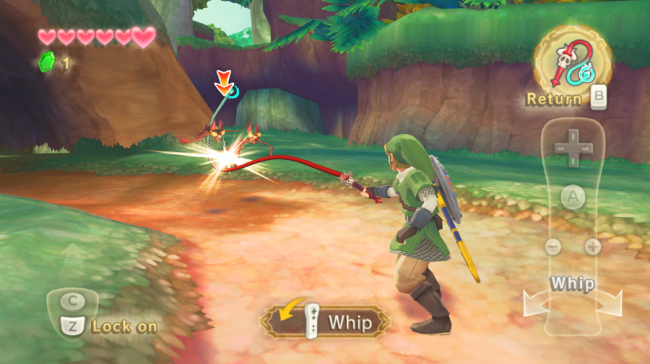 I think the holiday 2011 season will see Skyward Sword has the flagship title to push for the Nintendo Wii. So while IGN thinks this definitely can go either way and labeled the prospect as hmm…maaaybe, I’m fairly confident that Skyward Sword will release in 2011 for the Nintendo Wii. Be sure to let us know your thoughts by posting in the comments below.